Office Space - Hainault, London Borough of Redbridge. 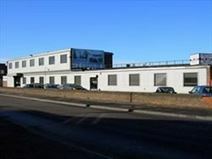 Located on Fowler Road, these offices are easy to reach by car, and a short walk from excellent public transport connections. The offices are available on flexible terms, and have been recently refurbished to a high standard.